Love you the most! We use this phrase, and its shorter version LYTM when texting and talking with our children and grandchildren. I had the idea a few years ago to design a modern valentine accent pillow, inspired by LYTM. 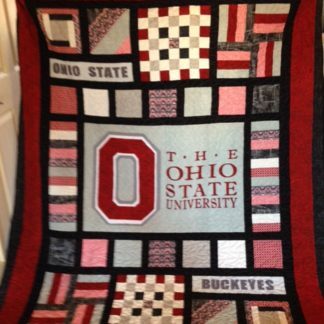 My granddaughters loved it, and I bet yours would as well! The pillow combines layered applique hearts and pieced borders. The largest heart has “love you the most” printed around the edge. 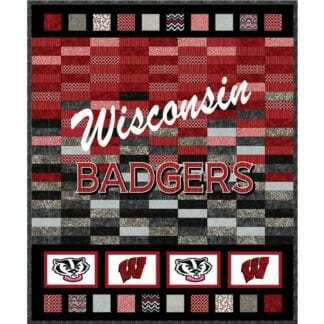 Easily duplicate this effect with the included text layout and printable fabric. Love you the most! We use this phrase, and its shorter version LYTM, when texting and talking with our children and grandchildren. 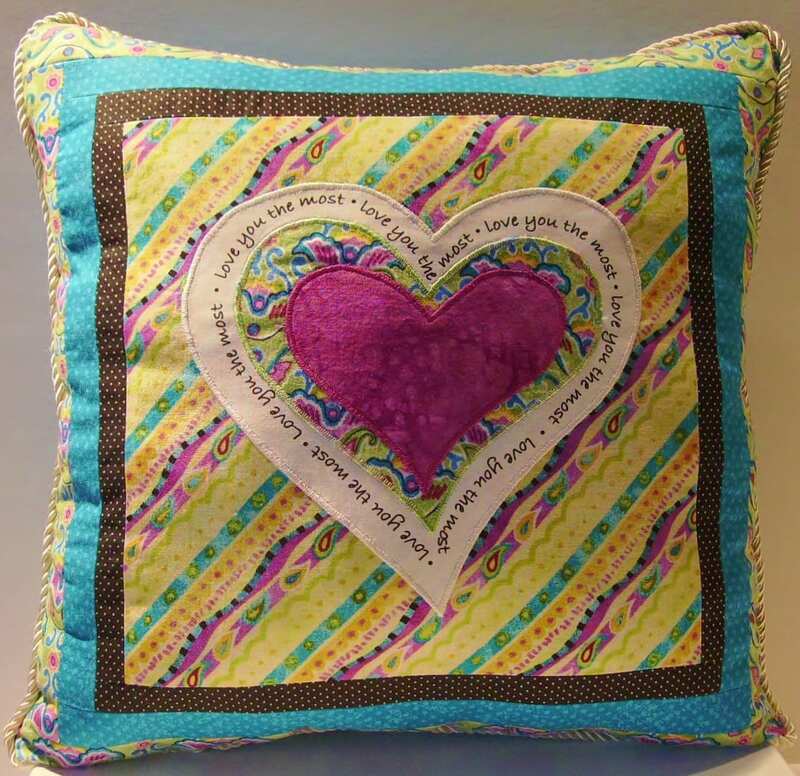 I had the idea a few years ago to design a modern valentine accent pillow, inspired by LYTM. 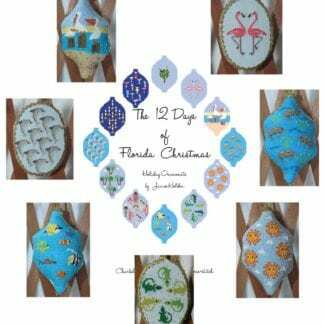 My granddaughters loved it, and I bet yours will as well! 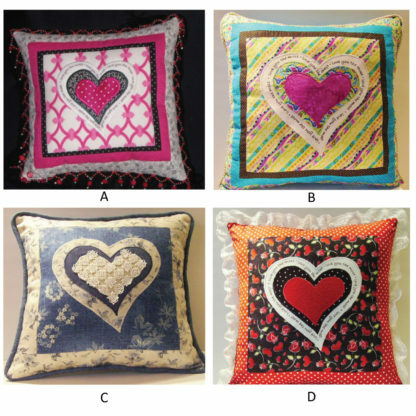 The pillow combines layered applique hearts and pieced borders. 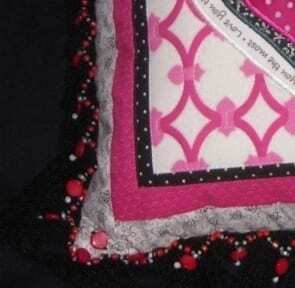 The original design is a mix of bright pink and black & white cotton calico prints. 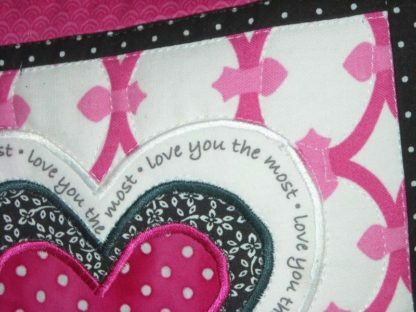 The largest heart has “love you the most” printed around the edge. You can easily duplicate this effect with the included text layout and printable fabric. I added a bit of hand beaded fringe as a finishing touch. I followed the original with a few more options. 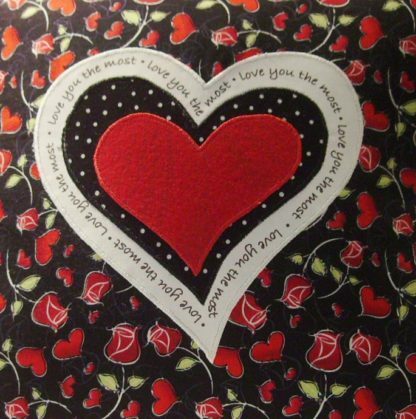 The first is a more traditional valentine in a heart printed calico with a lace ruffle. 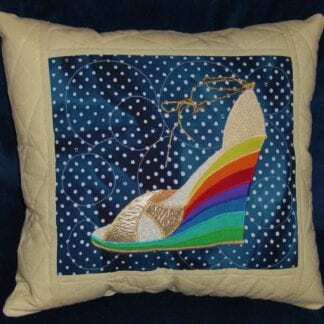 Another is a modern color combo in magenta, turquoise and yellow-green. 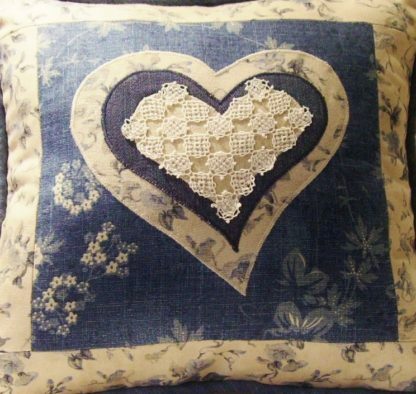 The third combines shades of faded denim, with a center heart cut from a piece of antique lace. I love them all, and I hope you do as well. Why not make a different version for each of your sweethearts? 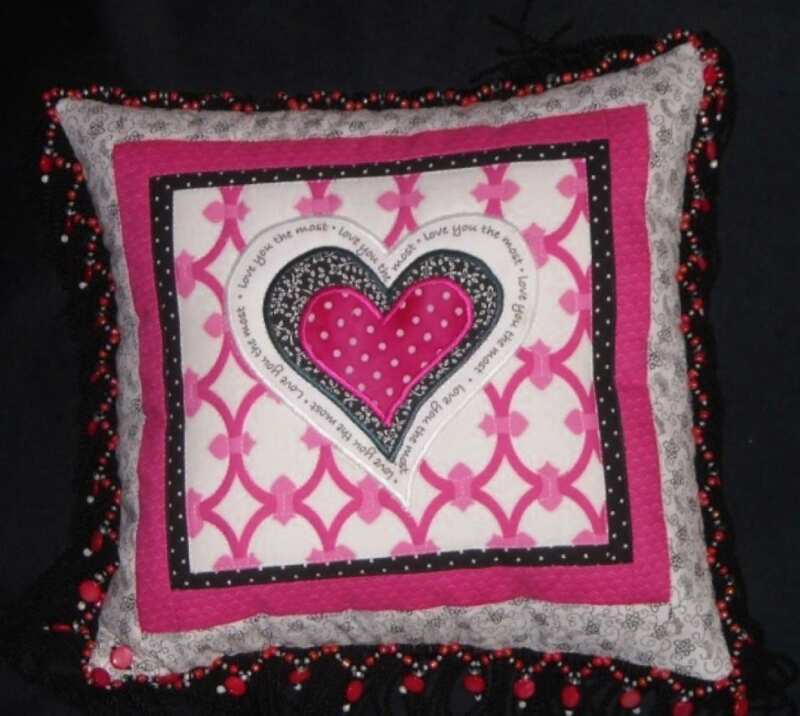 Add a little love to any room with this sweet design! If you prefer the look of custom bias covered cord, visit my tutorial HERE and you’ll find it’s a breeze!